As a seasoned travel writer, I have the privilege of visiting a lot of terrific places. Each place shines in its own way, but I’m invariably attracted to islands and tropical destinations where sparkling waters play a significant role to any visit. Whether I’m in it, on it, or under it, a destination with water friendly activities is usually tops in my books. What made my Belize travel experience so memorable and special? There are some beautiful beaches and incredible vacation rentals in Belize that can make for a great trip. But for me, it was the snorkelling. I’ve snorkelled in numerous places throughout Mexico, Hawaii, and Caribbean, but to date, have never surpassed the thrill of the Manatee Watch and Shark Ray Alley tour we took in San Pedro, Ambergris Caye, Belize. We watched the manatee swim happily near the mangroves. And we snorkelled with the sting rays and nurse sharks along the coral reef. I was even allowed to pet a large nurse shark, with my Belizean guide close at hand. It was incredible! The shark’s skin was tough like sandpaper. We were feeding him sardines in the warm, crystal clear water. What a magical moment, as I truly felt a very peaceful connection with this 14-foot long creature. (I’m guessing at the length, but that is a common length for these usually docile bottom-dwellers.) I say ‘usually docile,’ as it has been noted that divers who bother the nurse sharks in unwanted or unexpected ways may be bitten with their razor-sharp teeth. Oxygen tanks all ready for a dive in Belize. Shark Ray Alley is rated as being one of the Top 7 Caribbean Dive Spots. From my experience, I totally agree. There are more than 200 species of marine life in those waters. And more than 300 species of native birds. But where exactly is Belize? Belize is a Central American country bordered by Mexico to the north (both Cancun and Merida on the Yucatan Peninsula are just over 600 kilometres away from Belize City.) Belize is flanked by Guatemala to the west and south, and the captivating Caribbean Sea to the east. Although I only had one day there while on a fabulous Panama Canal cruise in 2001, Belize held a key place in my memory, and by writing this sponsored post and bringing Belize to the forefront of my consciousness, I found my way back to the beautiful tropical paradise of San Pedro to discover more of what the country of Belize has to offer. A visit to San Pedro is a must for any traveler to Belize. I found San Pedro to be a most pleasant surprise. Bright colours, beautiful beaches, and a good selection of enticing places to stay. A Creole (Kriol) influence in the Belizean culture was felt and tasted in the flavourful eats we enjoyed in North Ambergris Caye. Belizean rice and beans is a popular dish. We enjoyed the Belizean chicken flavoured with paprika, and served with rice, peas, fried bananas, and a really great coleslaw salad. And Belize is also known for its tasty fresh-caught shrimp. You’ll find everything you need to plan a trip to Belize here. But those of you who are regular readers to this blog know there must be a chocolate connection. And indeed there is! A growing number of fine chocolate makers around the world are creating their own unique bars using Belizean cocoa. And there is the Belize Chocolate Festival in the Toledo District each May. After making the right connections, I finally made it to the Toledo District in November, 2018. Situated in the southern part of Belize, but it is best known for the Punta Gorda tourist area, and about 30 Mayan villages that preserve the Mayan culture. At one time, there were as many as one million Mayans who inhabited Belize, so there are numerous site with Mayan ruins to explore. There are now noteworthy cacao companies in the Punta Gorda region that are growing world class cocoa. And a movement to save and protect the heirloom cacao and help establish cacao-based agroforestry to help conserve and restore Belizean tropical forests. It is no surprise that Belize found its way onto my chocolate-seeking radar. With the growing reputation of bean-to-bar chocolate being made from Belizean cocoa by chocolate making champions that include US-based Dandelion Chocolate, Nathan Miller Chocolate, Zak’s Chocolate, and others, I was thrilled to be back in Belize and will have much to write in upcoming posts. Please subscribe to this site (via the pop-up subscribe box or the Subscribe box in the options you’ll find in the sidebar if you haven’t already joined us) as I share more about this dreamy Central American destination. A beautiful sunrise in Belize, got me dreaming about my return visit. I’ll be bringing you much more original content on Belize beginning here. So do stay tuned, and please share any of your own Belizean memories in the comment thread below. My son and his girlfriend visited Belize last year and absolutely loved it! It’s on my bucket list for 2018 and, of course, the whole chocolate factor just raised it higher on the list! Thanks for your message, Shaheen. Yes, I think that Belize is a destination post people would love. Belize certainly looks and sounds beautiful. I would love to visit. Hi Doreen. I don’t really know anything about this beautiful country. One of our kids, Michael has made it there and raved about it. I wonder if there are “bucket list” rules. Lol. 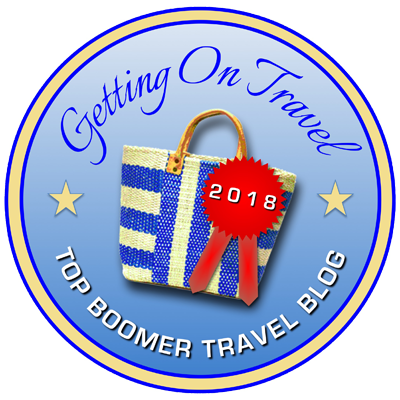 Do you keep adding travel spots as you are pushing through your list. A never-ending affair! We are going to Belize this year! I was waiting for the intro to Belize’s chocolate and there it was before the article ended. And I may try snorkeling! I will try to sample the chocolate, too. Wonderfrul, Carol! Do swing back this way and write a follow-up comment once you have been to Belize. Cheers! I used to think snorkeling would be totally lame. Little did I know! I fell in love with it during my one tri to Hawaii. I can easily imagine your excitement and delight at touching a shark and swimming with all those fish. That would be so cool. Hope you do make it back soon. Haha. I’d have to go on a starvation diet before I went. I have trouble monitoring how much chocolate I consume, once I get started. As a scuba diver, I’ve long wanted to visit Belize. Hoping to do so in 2018! Your encounters with the sea life sound amazing! Thx, Debbie. I’m surprised that someone with your diving credentials has not yet checked out the Belize Barrier Reef! Lovely introduction to this Central American nation! I would love to visit Belize someday and snorkel in those clear seas which are absolutely captivating. Hi Rose. Chocolate is still emerging in Belize. I’m not sure yet how many companies are actually making it there. I know of cocoa growers and companies making great chocolate off-island. But I’ve not yet discovered or eaten any Belize-made chocolate. It’s on my list to discover! Central America is great, Karen. I love Costa Rica, too. From everything I’ve heard from my fellow traveler friends, Belize also has some fantastic Mayan ruins. Definitely worth a trip, and a great extension, or follow-up to any trip to Mexico’s Yucatan peninsula. Indeed, Milosz. Belize definitely has a strong Mayan history, and there are Mayan ruins to explore throughout the country. Thx for joining the conversation. I was in Belize last February, we split our time between the jungle area to visit Caracol and the white sand and snorkeling of Caye Caulker. I hope to return and check out Caye Ambergris and the chocolate! Sounds like a perfect vacay, Priscilla. Enjoying both the jungle and the beaches of Belize would be perfect. I have heard so many great things about Belize and your post makes me want to go even more. Hopefully one day soon I’ll find myself there! I’m so glad to see more people writing about the chocolate culture in Belize! I went to the Toledo Chocolate Festival in PG a couple of years ago and it was a blast. Shortly thereafter I ended up writing about it since I had so much fun, but I also wish I had taken better pictures during my trip… I was so tired after the first two days that I ended up missing the bus to the third day, but the 10 days I spent in Belize were truly magical. I highly agree with your assessment about Ambergris Caye, as well. Thanks for the quick overview, Doreen. Thx so much for your comment, Max. I will visit your site and find that post on the Toledo Chocolate Fest. If it is not on your site, please DM me the link. Thx! Having lived most of my life on Maui, visiting sun and sea destinations has never been high on my list of travel wish list. But now one year into mountain living, I’m ready to expand my horizons. Belize looks charming and reminds me of some of the beach towns we used to frequent so many years ago. Thanks for the tour and lovely photos! I’ll never forget I actually saw a jaguar in the forest in Belize! That must have been amazing, Karen. Jaguars are magnificent creatures. I’ll never forget how I saw a jaguar in the forest in Belize! So lovely. There is just something so memorable about snorkeling in clear, clean water. Hi Francesca. The really cool thing is that cocoa is growing in an increasing number of places. Thx for stopping by. My one visit to Belize was also a one day port of call on a cruise. I’m still trying to overcome claustrophobia sufficiently to enjoy snorkeling. If I ever do, thanks to you, I know to add Belize as a possible place to see how I do. I’d probably forego the petting the shark thing—even if I knew they had plenty of sardines to eat. I’ve only been to Belize as a cruise passenger, but after reading your article I think I’ll go back!! I also had no idea about Belize chocolate!! Great piece! Thanks for this introduction to Belize! It’s now on my list! You’re welcome, Irene. I’m actually surprised that more people aren’t familiar with this destination. Thx for stopping by. I have always been curious about Belize, but you have given me at least half a dozen reasons to get there. You always find the best stuff in the best places. Thx very much, Wendy. That’s quite the compliment and I truly appreciate it. What a rare and special treat to see manatees up close in the wild. I hope to stop in Belize in the fall and can’t wait! Awesome, Michele. I look forward to reading about your visit to Belize. The beaches of Belize seem to have a lot to offer to those visiting here. Including underwater experience. That sunrise is very well captured. I love the shades of color there. And the town looks colorful too. Overall, I am inspired and will look forward to more stories from Belize. It’s great to read that there is so much to do in Belize. We were considering adding it to our travel list, and now we can confidently. Right on, Jeff and Crystal. I hope you make it to Belize this year. We visited Belize in 2007 on our Alaska to Tierra de Fuego trip. One of the things we loved was that could speak English after 5 months of struggling with Spanish in Mexico. But we were also thrilled by our visit to Caye Caulker and a boat trip we took from there. It is a special country that really deserves a lot more attention. Thanks for joining the conversation, Yasha. Yes, it’s great that Belize is an English-speaking country. Hopefully this post will help get more travelers thinking about visiting Belize. Great info, Doreen. We’ve only visited the interior, and though we loved the interior (ATM caves) we missed out on your manatee sightings and San Pedro and chocolate experiences. Hi Kristin. You’ll have to go back! It’s true how a visit to one part of a country can be dpcompletely different than a visit to another part of the country. Thx for stopping by. You’ve just added Belize to my “must-visit” list! I love to snorkel and dive and your experience sounds divine. I have fond memories of visiting a friend’s Belizean grandmother with her. Her cooking was amazing and her accent always made me smile. My husband Henk constantly rates EVERY snorkelling adventure against his experience on the ‘atoll in Belize’ which he ranks as unbelievable. I don’t think I’ll rest until I see it for myself, too! Interesting, Jane. I’m glad Henk shares my passion for Belizean snorkelling. Thx for stopping by. As much as we love tropical destinations, we’ve never been to Belize. You’ve sold me on putting it on the wish list. The hubby would love the snorkelling and I’d be spending some quality time in San Pedro. Bob Cooney’s photos are fantastic! Thx so much for your enthusiastic comment, Cathy. Yes, it’s amazing how many destinations there are to discover and enjoy. I’m quite surprised how few of my readers have been there other than for a very quick stop on a cruise. I’m still hoping that a couple of people who know Belize well will chime in with their thoughts. Belize has been in my wanderlist for quite a while and now that I’m getting better at snorkeling, I am motivated to get there! San Pedro looks like a lovely spot to wander and explore as well. Awesome article on Belize. I’ve always wanted to go. Do you have any photos from your dive? I love seeing underwater photos. I saw the link of luxury rentals in Belize. They made my eyes pop. They are soo beautiful. Need to check them out. Hi Mike. No. Alas, my snorkelling experience in Belize was before the age of digital cameras. I had to rely on a friend to share his more recent pics with us for this post. The underwater world at Belize seems magical. What an experience swimming with the manatees. Getting so close to a Nurse Shark and even being able to touch the giant sounds like an incredible experience. You seem to have had a great experience and no wonder you wrote in your travel diary that this was one of the best days of your life. Right on, Sandy. Some destinations seem to be etched in our minds and provide the motivation for a return visit. Belize is one of those for me. Belize is definitely on the to of my tropical getaway list. Hope to get there son. I never knew Belize is so beautiful and lovely. San Pedro is really a surprise with stunnning beach, and would really try out delicious Belizan dishes. I am also a fan of tropical destinations. As much as I love mountains, I love beaches as well. I think I will enjoy Belize. It is my kind of destination. San Pedro looks like a lot of fun too! Belize seems like an ultimate travel destination, Doreen! Your pictures have left me speechless. How many days would be enough to see all of the highlights there? Hi Agness. I can’t take credit for the photos. My friend took them. I think a week in Belize would make for a perfect vacation for active travellers. Two weeks if you just want to relax and take it in on a relaxed basis. Doreen, I fell in love with Belize when my naturalist friend Pat spent 16 years there writing letters to friends about the birds, animals and plants of this wonderful country. Then I fell in love with a picture of Half Moon Caye on Lighthouse Reef near the fabled Blue Hole, a World Heritage site. A long peninsula of sand with emerald water on each side where you can pitch your tent and watch a colony of magnificent black frigate birds living beside rare white red-footed booby birds. I booked a camping kayaking trip to this island with Island Expeditions, met one of the wardens and was invited to study jaguars in the jungle near the Cockscomb wildlife sanctuary. As the writer of Love Affair with a Cougar, I couldn’t resist . I now return to Belize every year in the Canadian winter, I have built a house there for a family in a secluded yet-to-be-discovered treasure and enjoy the unparallelled experiences of living with Mayan and Mestizo families. Go to http://WWW.LYNHANCOCK.COM for blogs and photos on Sarteneja, my home village, and the wonderful experience of being invited to be a bridesmaid at the wedding of my Belizean sister. A final tip: my favourite experiences in Belize have been that wedding, kayaking Half Moon Caye with Island Expeditions,and Actun Tunichal Mukpah, the ATM cave where women and children used to be sacrificed to the Rain God. And if you want to experience local culture with a local family phone me at 1.250.390.9075 or email me at lynhancock@shaw.ca and I will be pleased to invite you and help you achieve that. Thanks for the wonderful sharing of love for Belize, Lyn, and your offer of generosity. I met an incredible vhocolate maker last night in Arizona who works with Belizean cocoa beans. I am truly hoping that I can manifest this trip to reality. Will be back in touch. Belize, is probably one of those modern day colonies for vacation rentals and beach bumming in style. I wish to see how the locals stay in these areas and how their daily lives revolve around the beauty of the sea. More often than not most of the lovely beach resort towns are all similar looking western clones of each other. I’d love to visit Belize but reach out to where the locals live and understand their lives. I learnt a little about Belize, but I am hoping to go back and do more research on this place. Living with locals is the way I travel so contact me if you want a home stay in Sarteneja, and a guide to introduce you to his families in othr parts of Belize. i arrive in Belize tomorrow. Loved your story. I cannot tell you how much I love Belize. My “bucket list” continues to grow despite all my efforts to complete it there. The Chocolate Fest is definitely worth experiencing! Hi Christine. Yes, that seems to be the way it is with some destinations. They are alwayz on out radar, but somehow the stars do not align to get us there. I’m hoping that in 2018, the stars will align to bring me back. 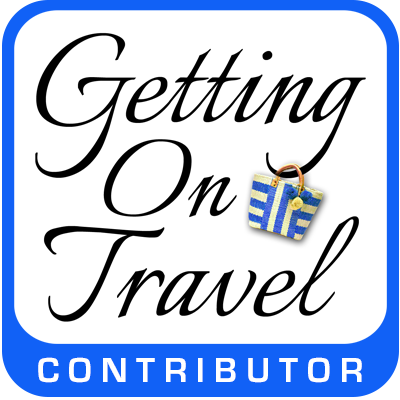 impressive article you wrote and shared your travel experience with us. I want to go there for same enjoyment and trip. Belize has been on my list for a long time now – actually just talked about it last month with my favorite tropical travel partners, so maybe two years from now. . . It sounds wonderful. Hi Doreen, I really like traveling. and always find interesting things related to travel. well, you wrote a great article. thanks. The snorkelling with Go Sea Tours out of Placencia last week was truly spectacular and second only to the Great Barrier Reef in terms of diversity, in my opinion. We were transported from the town by boat out to the Caye, a trip of about 20 miles. We had three snorkelling excursions from there – the first a reconnaissance mission from a tiny strip of land on the Caye where we had lunch, the next a more adventurous swim and the third where the stingrays, nurse sharks and sea turtles hang out. Our guide had an eagle’s eye for the more camouflaged fish and his colleagues were top notch too. We missed you out there Doreen. Can’t wait to visit Belize. Since it is also a possible great place to retire early we hope to get there soon. Loved Belize, seems such a long time ago when we visited back in 2013. Time to return. Thanks for the article.